air joe is proud to serve the Lisle community! We are proud to be a part of this community, serving your heating and air conditioning needs: air joe is listed in many directories under titles such as : Lisle Heating Contractors, Lisle Heating, Lisle Air Conditioning, Heating Repair, Air Conditioning Repair, Lisle Heating and Cooling Contractors, Rooftop HVAC Repair, Ductless AC Systems, Boiler Repair and Lisle Heating and Air Conditioning Contractors. We are here for you whether you need furnace or air conditioner repairs, heating and cooling estimates, equipment replacement or new installation of a furnace, air conditioner, heat pump, rooftop heating and cooling or comfort products to improve the air filtration for your home or business. About Lisle, IL - Happy to be your hometown Heating & Air Conditioning Contractor! 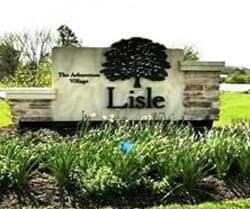 The Village of Lisle is located in DuPage County, Illinois, just twenty-five miles southwest of metropolitan Chicago. Conveniently situated on U.S. Route 34, Lisle is home to approximately 22,000 residents, more than 1,000 area businesses, and an educated and ready workforce that powers and drives the local economy. The village enjoys a fluctuating seasonal climate that graces the region with hot humid summers, cold snowy winters, and beautiful moderate weather during spring and fall. Lisle is home to a world of opportunities for recreation and leisure! The village features a number of community parks and recreational facilities maintained and operated by the Lisle Park District, including Community Park, which serves as the focal point for many village happenings and features amenities to accommodate activities and events such as hiking and biking, organized sports, fishing, sledding, picnicking, skateboarding, and outdoor music and entertainment productions, just to name a few. The village is also home to the majestic Morton Arboretum, an outdoor oasis of woodlands, wetlands, and prairies showcasing 17,000 acres of plants, flowers, and trees, as well as 16 miles of hiking, biking, and skiing trails, an interactive Children’s Garden, and the Sterling Morton Library. Easily accessible via Interstates 88 and 355, Lisle’s superb quality of living and unsurpassed hometown friendliness make it a great place to live and visit in northeastern Illinois!